This ACEO will go in the January 2012 Theme Week show offered by the eBay group ACEO ~ Art Cards Editions and Originals. Starting Jan. 1st, search "ACEO Jan TW" to find more great entries! 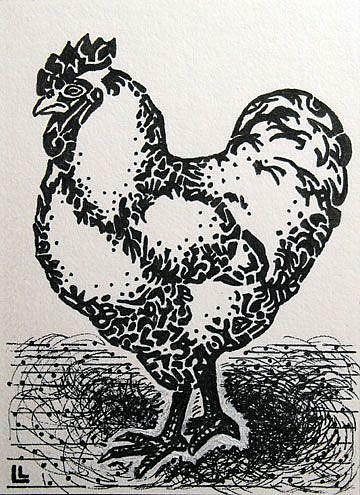 The January theme is "Black and White", and Rembrandt the Rooster is just that! Rembrandt is also my "Better Late than Never" entry into EBSQ's April 2012 exhibit "Pen and Marker".